At the wide top end of the funnel are the many suspects who could become customers. They haven’t entered the funnel yet because they don’t know about your company, haven’t been contacted, have limited need for your services or are otherwise not yet part of your sales prospects. When suspects enter the funnel, they become prospects, and that’s the point where careful tracking must begin. Prospects at the very top of the funnel have shown some likelihood that they want or need your products and services. 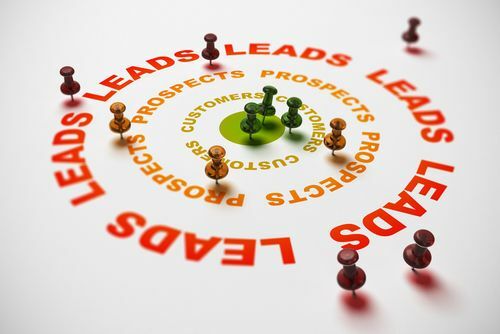 As the prospects flow down through the funnel, they’ve been given more and more information and interaction from your sales team, increasing the chances that they’ll be converted to customers. Someone higher up in the funnel might need a brochure or spec sheet, while someone lower in the funnel may need an in-person sales visit or demonstration. As the funnel narrows, the quality of the prospects improves, with unlikely prospects being removed. Emerging from the lower end of the funnel are fully converted customers who are making purchases or signing contracts. The funnel metaphor can also be successfully applied to customer retention. At the top of the client retention funnel are the bulk of your customers. They have made purchases from you and are presumed to be happy. As they enter the funnel, you begin tracking them to find out where they are in terms of after-sale marketing techniques. The top of the funnel may include customers who receive a cordial post-sale follow-up, while customers further down the funnel may be ready for more of your products or for an effective cross-sell or upsell. The customers who emerge from the bottom of the funnel are repeat customers who have made additional purchases guided by your customer retention efforts. How could your client retention program, as well as your client acquisition, be improved by more effective client tracking?